Our product range includes a wide range of leather chair for office. 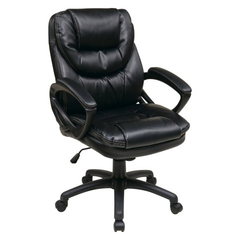 We specialize in the business of manufacturing, supplying and exporting high-quality Leather Chair for Office. These comfortable and lightweight sofas are uniquely designed and made with utmost precision by our experts. Available at best prices in the market. Note: Product also available in Rexine and Fabric. We can also customize products according to your theme and designs. For further details contact us. Looking for Leather Chair for Office ?